Competitive sport can serve as a trigger for sudden cardiac death (SCD). The majority of athletes who die suddenly have previously unsuspected structural heart disease. Medical evaluation before competition offers the potential to identify cardiovascular abnormalities in asymptomatic athletes. Consensus on the ideal screening programme has not been reached. So, a cardiovascular pre-competition screening of elite football players was developed and implemented prior to the 2006 FIFA World Cup Germany™ to detect SCD risk factors. Medical history, physical examination, 12-lead resting- and exercise electrocardiogram (ECG) and echocardiography results of the players were recorded on a standardised form by the team physicians and submitted after the final match for retrospective evaluation by two blinded independent cardiologic reviewers. Response rate was 82% (605 of 736 players). Completeness and quality of the recordings and examination methods differed amongst teams. In 25 players (4.8%), the examining physicians evaluated the resting ECG as pathological. Suspicious echocardiographic findings demanding further investigations to rule out serious cardiovascular disease existed in 1% of the players. 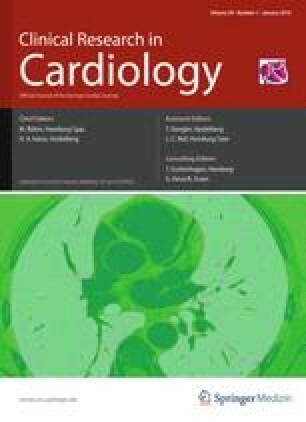 Cardiovascular pre-competition screening proved feasible in international elite football teams, but turned out to be vital to ensure high quality of data, particularly with regard to stress testing and echocardiography. The screening concept was revised mainly to improve completeness and quality of data acquisition. Resting ECG and echocardiography were retained, but it is questionable if exercise testing should be included in this context. The authors C. Schmied and T. Thünenkötter contributed equally. No author or related institution received any financial benefit in connection with this study.